It’s interesting to note how finicky people can be when it comes to the art of perfume. Apparently Chinese women love harmonious perfumes that are smoothly blended. 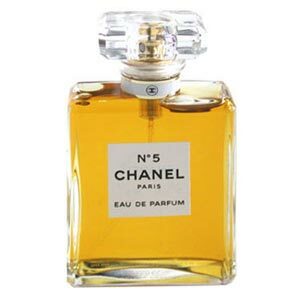 Flower-petal scents please them enormously, and brands like Chanel are a key influence on their purchases. Chinese men, on the other hand, love fruity and airy scents like apple. Indian men like rich aromas like sandalwood, and touches of musk. The list of innate preferences can go on as endlessly as the string of All My Children episodes, but the key point to note is how particular people are about their sense of smell. Perfumers go to very detailed and specific lengths to blend ingredients, and some can be very pricey. The highly-prized Bulgarian rose, for example, sells for around $9,000 for 2.2 pounds! This is why completely organic and natural perfumes cost a fortune. It’s especially not cool to use any old scent on your skin, especially *down there. * Sweetspot Labs, for example, uses for purpose ingredients for your sweet spot, like Galbanum, which has been used as an aphrodisiac for centuries. You’re advised to spray a balancing mist like Geranium Lavender or Basil Grapefruit *down there* in lieu of ordinary perfume. Trust me, the scents will create a great memory for your lover! There’s little doubt now that the power of smell is linked to memory. If Pig Pen walked into the room — believe me, you would remember him not so much by his unkempt appearance but by his signature smell. Smells can exude more powerful memories than visual or voice recognition. Perhaps parents should spritz those lego blocks with Chanel No. 5 so their kids can remember them? Or coat those scrabble puzzle pieces in Estee Lauder’s Beautiful?